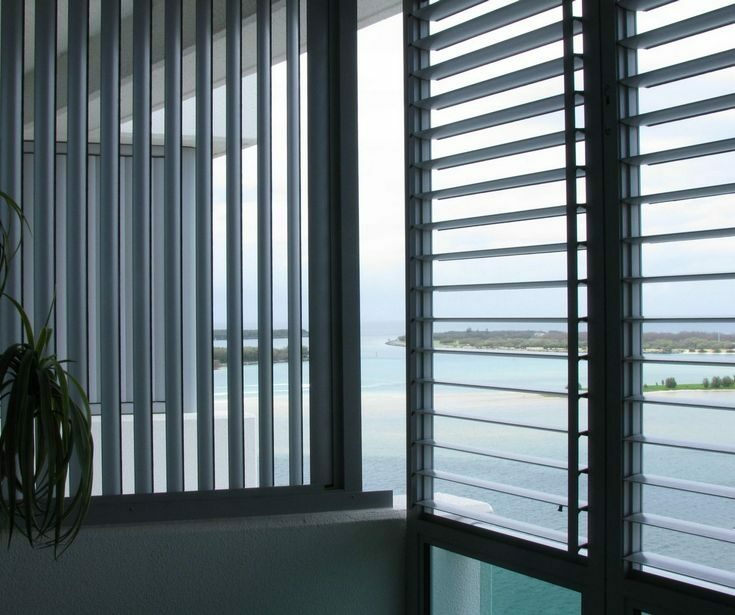 Aluminum Shutters have been developed especially for external use, creating an outdoor livable experience. 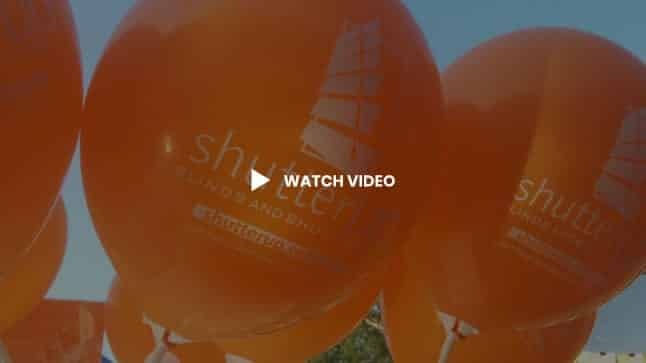 Shutterup’s External Aluminium Shutters/Louvers are available in a full range of high u.v powder-coated colours. They are hard wearing and easy to clean. 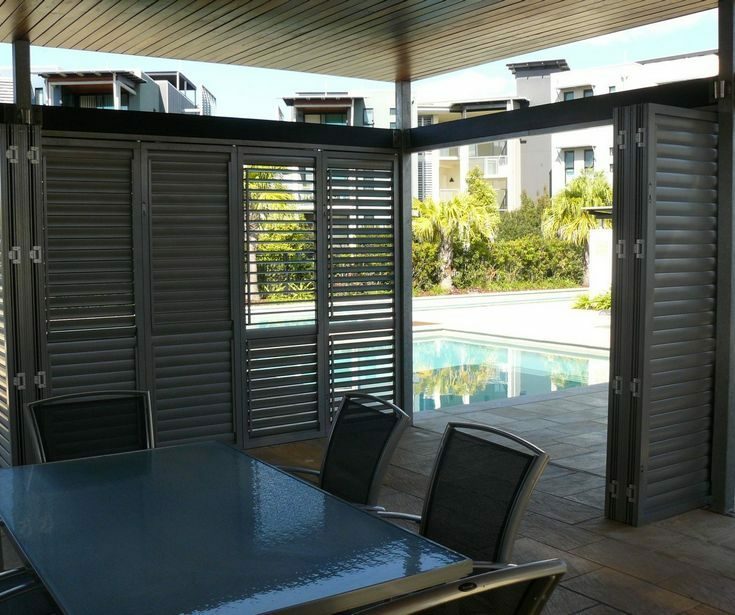 The Aluminium Shutter/Louver range has been designed for applications such as: Decks, Patios, Balconies, wet areas, and privacy solutions and can be installed vertically or horizontally. 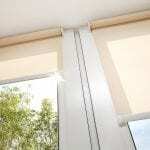 And allows you to control the air flow and light, while providing security and privacy from neighbors. Bi-folding, Hinged, Fixed… the applications for these products are outstanding. 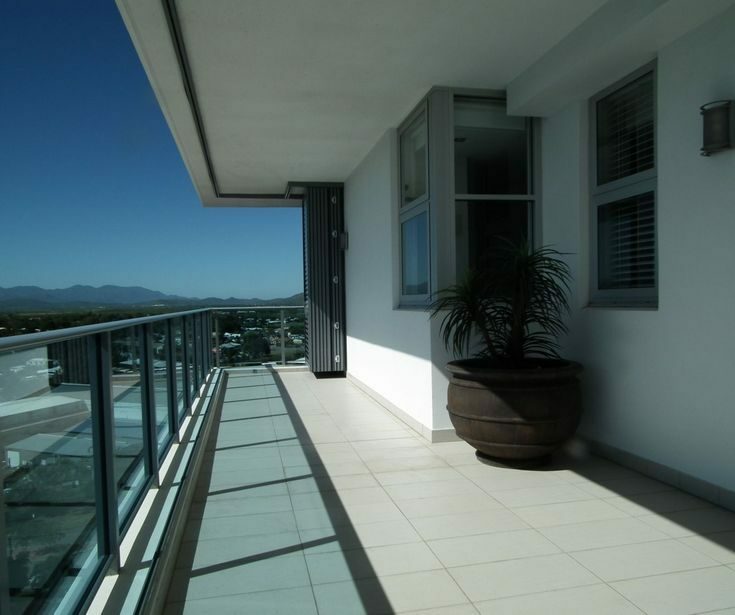 A Fixed Panel Louvre offers the simplest form of installation and operation. C channels can be fixed permanently to the top and bottom of the application and the Fixed Panel Louvre then pivots inside the frame work. Flashing will be provided to cover gaps on the left and right of the front and back of the application. H section is also available for joining panels to create strength and stability over multiple panel installation, as well as standoff brackets which offer installation off the window to provide access for ventilation and cleaning. 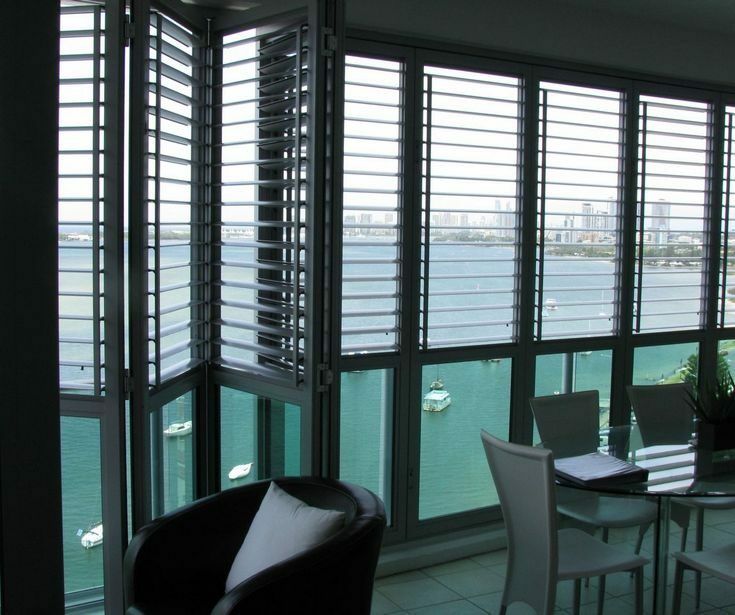 Bi-fold Louvre shutters provide a versatile option for balcony or patio areas by offering a choice of total enclosure and protection from the elements while in a closed position, yet still maintaining the availability of clearing the opening completely by folding the panels and pushing them to one side. Utilising practical nylon pivots, the panels can concertina either in or out by running along top and bottom tracks which are fixed permanently to the top and bottom of the application. 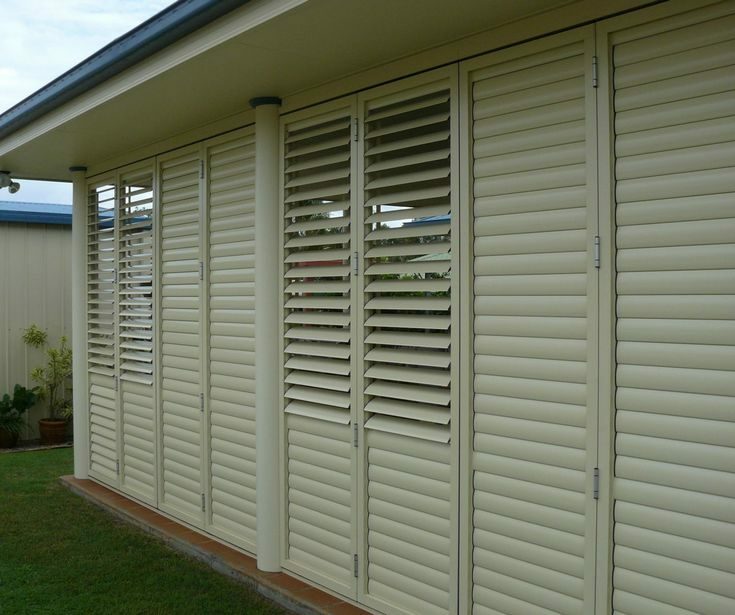 Hinged Louvre shutters are a practical and aesthetically pleasing choice for both interior and exterior windows and doorways. Available to swing either inwards or outwards, Elipso Hinged Louvre’s can be supplied with L or Z framing to provide a neat finish. 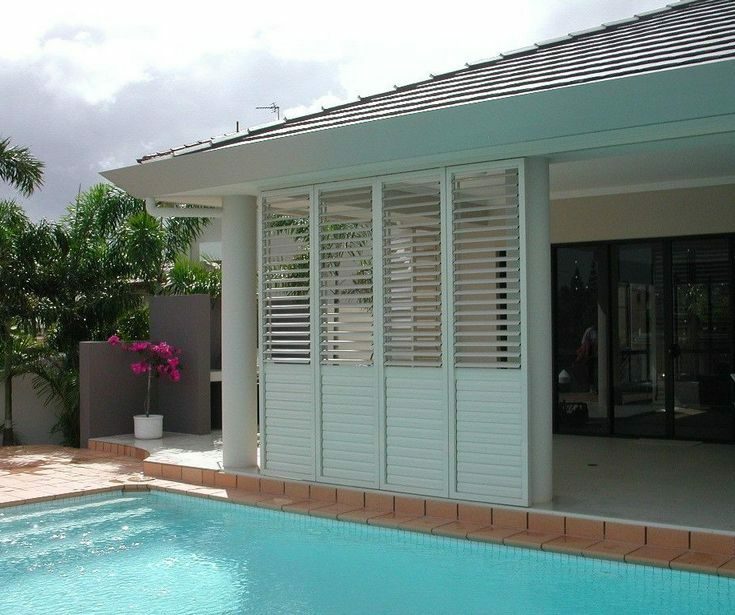 Stacking Louvre shutters add another dimension to the Sliding installation type. Operation of the panels is the same, however an H section is installed at the end of the tracks which the panels can stack into, providing the option of completely uncovering the opening and storing the panels in a stacked position 90 degrees to the opening instead of at the edge of the application. Utilising practical nylon pivots, the panels can slide left or right by running along top and bottom tracks which are fixed permanently to the top and bottom of the application. 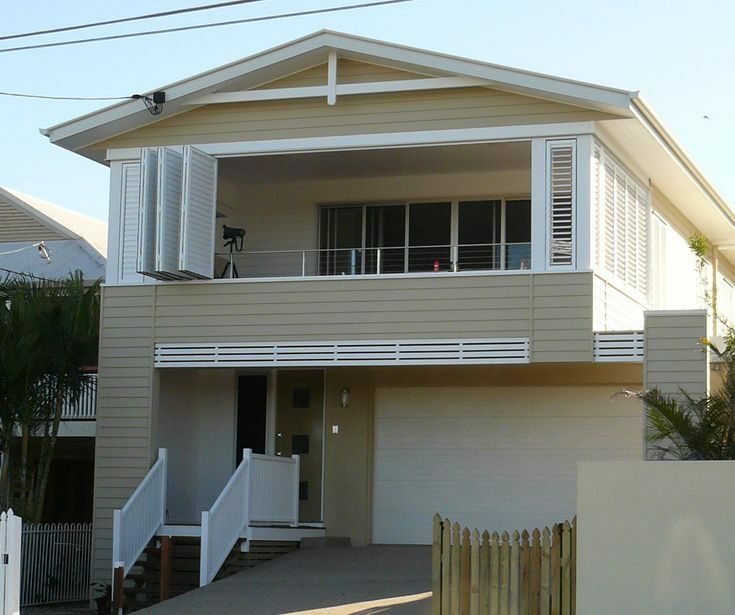 Why Choose External Aluminium Shutters? Recognised as Australia’s most superior Aluminium Louvre panel. With the strength of a Cyclone Shutter within a sleek frame. All paint coatings tested against Australian weather conditions – leaving you peace of mind that they will last the test of time. Blades can be fitted Horizontally or Vertically into panel frame – allowing you the practicality you need and the look you desire. 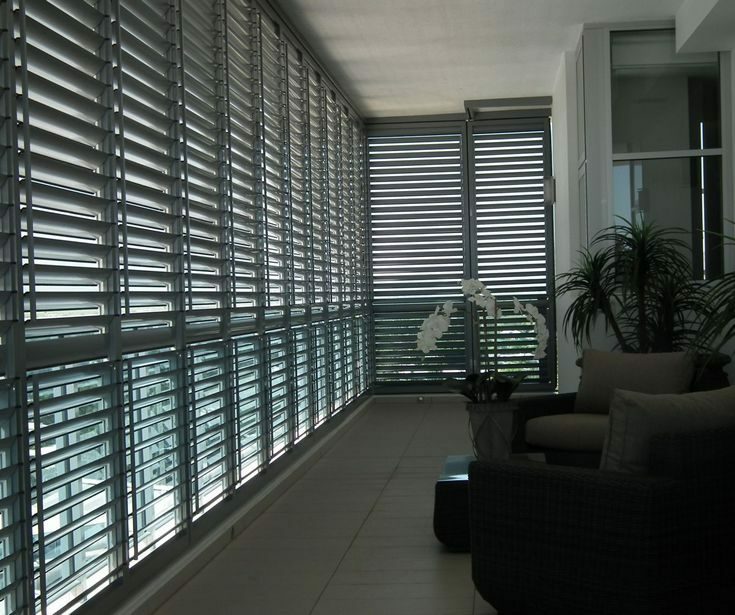 Aluminium Shutters provides you with excellent light control for an outside area. 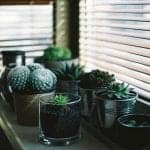 They can also help protect your furniture from fading. 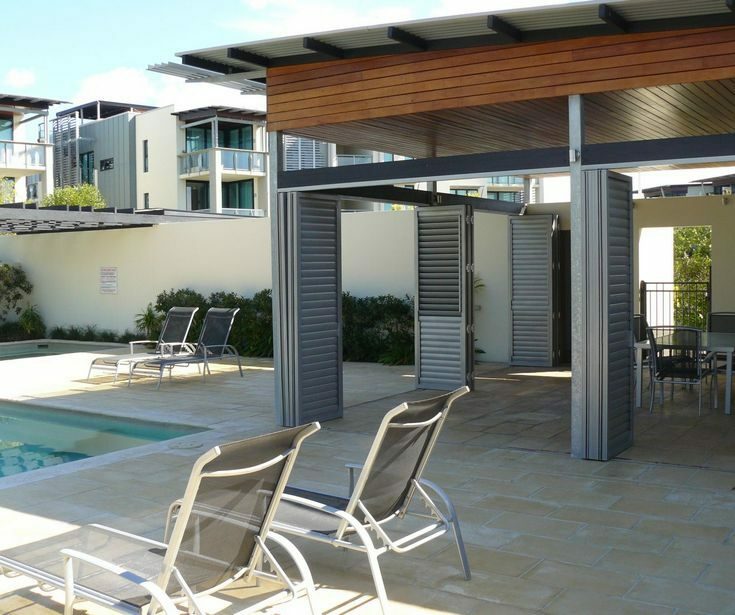 Choose from fixed, hinged, sliding or bi-fold openings: No matter what type of opening you wish to cover we can provide you with an opening system to suit your particular needs. 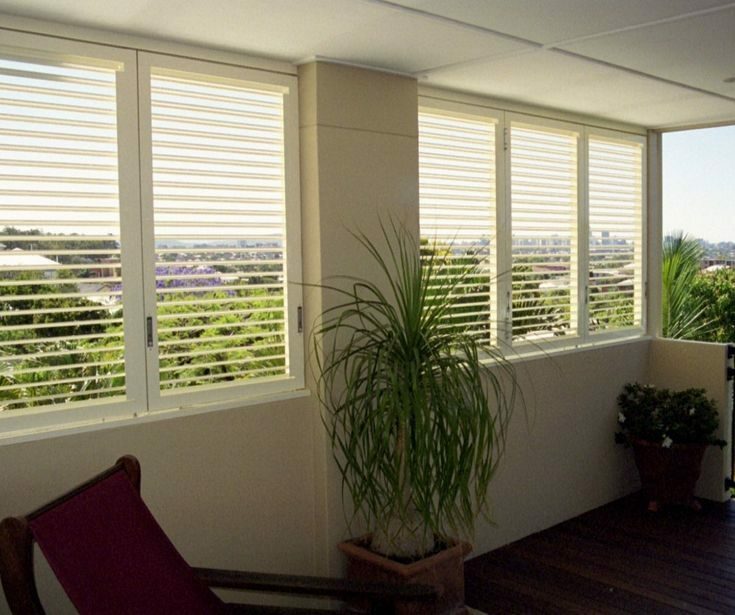 Create a extra livable space on your patio or verandah with Aluminium Shutters providing privacy and weather protection. What colours are available for Aluminium Shutters? We have 5 Standard Colours available as well as custom colour options including 150+ Powder Coat Colours. What Blade Sizes are available? What is the maximum size for each Panel Width & Height? The maximum Width & Heights for each of the Panels variers as it is dependable on the fitted options – ie. Fixed, Bifold etc. What fitting options are there? We have fixed, sliding, bi-fold, stacking & hinged. As well as the Louvers/Blades can run Horizontal or Vertically. Do the individual Louvres/Blades open? Yes you can have either opening/tilting Blades or you can have slat style that are permanently fixed. 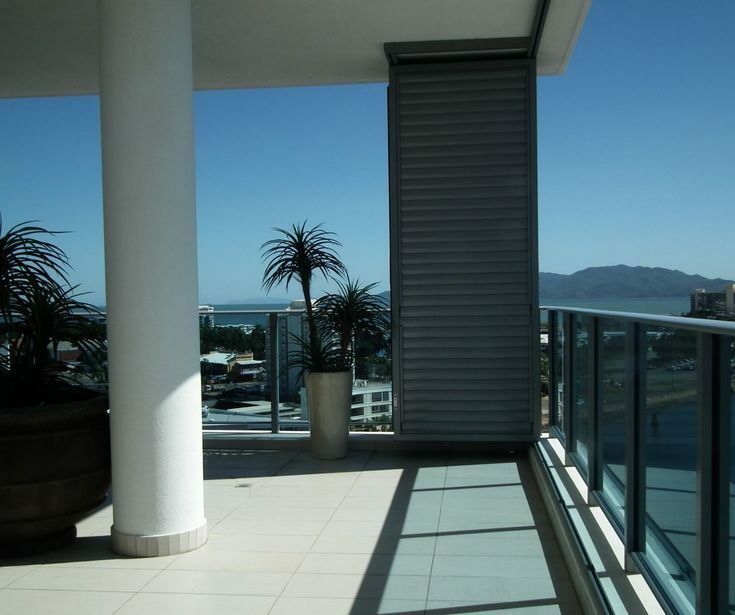 What warranty do the Aluminium Shutters come with? Subject to the conditions of guarantee, the Company warrants the structural integrity of the aluminium profiles and all extrusions incorporated in the product for 10 years. 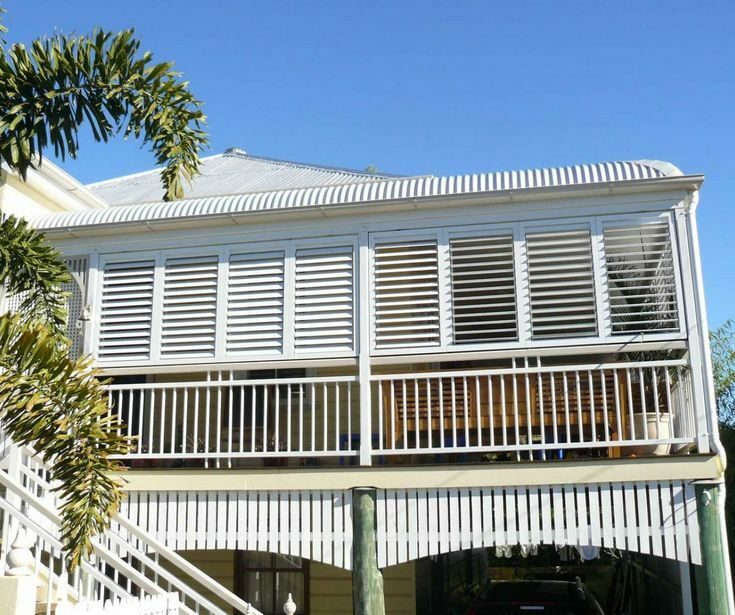 Can Aluminium Shutters come with flyscreens or a fixed glass component? 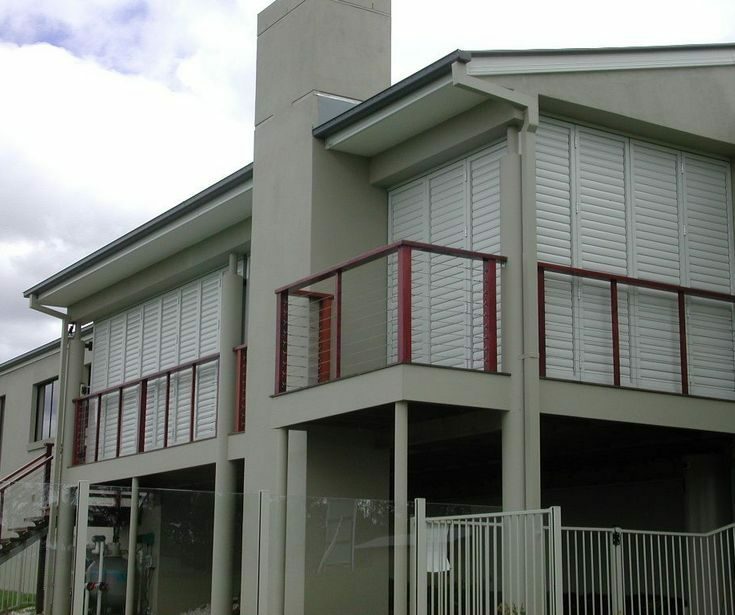 Yes, you can have flyscreen attached to your Aluminium Shutters for an additional fee.